You need to insert a SIM card to use your new OPPO smartphone properly. A SIM (Subscriber Identity Module) card is needed to connect to mobile networks. It also stores information such as your phone contacts and security data. Without a SIM card, your phone can only make emergency calls. Read this guide to find out how to insert a SIM card in your OPPO phones and solutions to common SIM problems. Applicable for all OPPO smartphones. There are several different ways to insert and remove SIM cards in OPPO phones. This depends on the model of phone you have and where the SIM card holder is located. 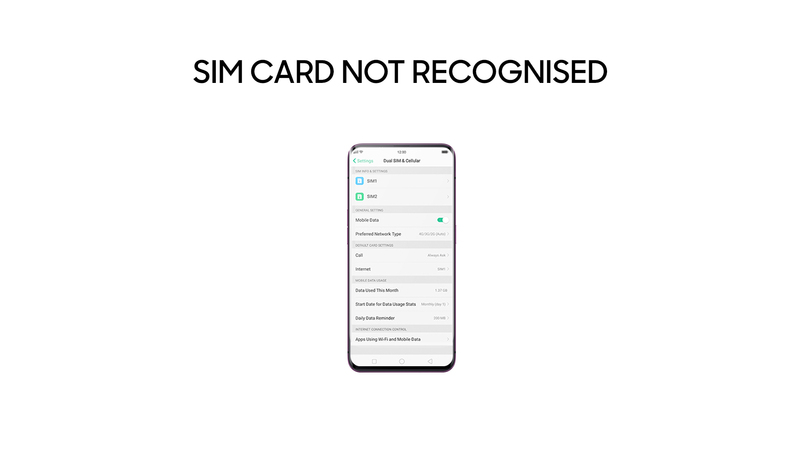 Check whether your phone's SIM card tray is located on the side of your phone, on the back of your phone or underneath the battery and read the guide that applies to you. Important: Do not insert or remove a SIM card while the phone is switched on. This may damage the card. Most OPPO smartphones have the SIM card holder on the right side of the phone when you're facing the screen. Look for the slot on the side of the phone that has a small hole next to it. 1. Insert the card needle or a similar object into the hole next to the SIM card holder. 2. Press firmly until the SIM card tray pops out. 3. Remove the SIM card tray. Check whether it's empty or if a SIM card is already in place. 4. Place the SIM into the first SIM card slot. This is the slot on the left side of the tray. Check that the gold (metal) side of the card is facing down and that the angled corner lines up with the slot. Press down gently to make sure the SIM is firmly inserted. 5. When the SIM card is in place, insert the tray back into the phone. Press firmly until it closes. 6. Turn on your phone to check the SIM has been inserted properly. 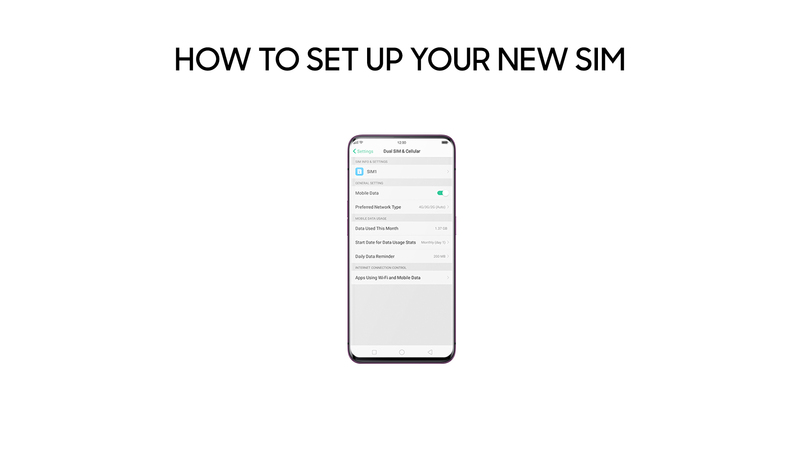 If it's your first time inserting a SIM, you will need to complete the setup process (see later). Otherwise, you can continue using your phone as normal. 1. Locate the SIM card tray. 2. Gently remove the SIM card holder using your fingers. 3. Insert the SIM into the left-hand slot. Make sure the angled corner lines up with the gold side facing down. Press down to make sure it's secure. 4. Replace the tray in the back of the phone. Make sure it closes properly. 5. Turn on your phone to check that the SIM has been inserted correctly. 1. Open the phone cover to access the battery. You may see the SIM card slot on one side of the battery. 3. Carefully place the SIM card into the slot on the left-hand side of the tray. Check that the angled corner lines up properly with the gold side facing down. 4. Replace the battery and cover. 5. Turn on your phone to check the SIM has been inserted properly. If you have a newer model of smartphone such as the OPPO A73, OPPO R15 or R15 Pro, you may have the option to use dual active SIM cards. This means you can use two SIMs at the same time, without having to switch. · You can use one SIM for business and one for your personal life, without having to use two phones. · If you sometimes need to switch between different mobile networks, you can access two networks on the same device. · If you travel abroad, you can keep your Australian phone number and contacts while using a local SIM for calls and mobile data. 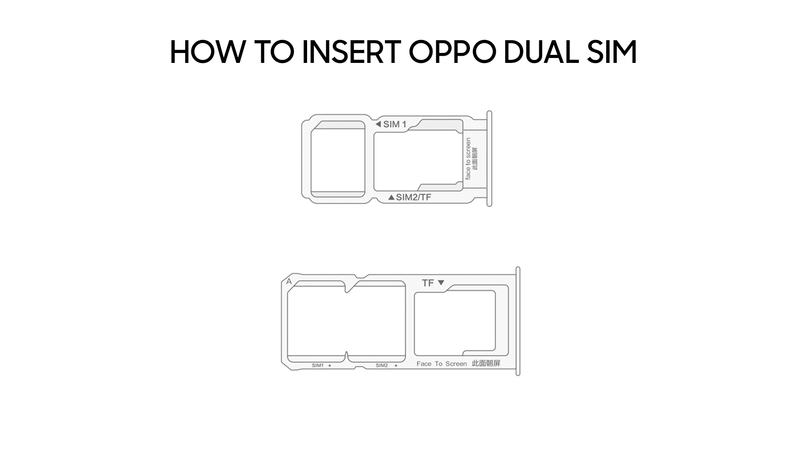 OPPO dual SIM cards are inserted in the same way as a single SIM, using both slots in the tray and making sure they line up properly with the gold sides facing down. It's recommended that you insert your primary SIM card in the first slot. This will be your default SIM. Do you have the right type of SIM ? 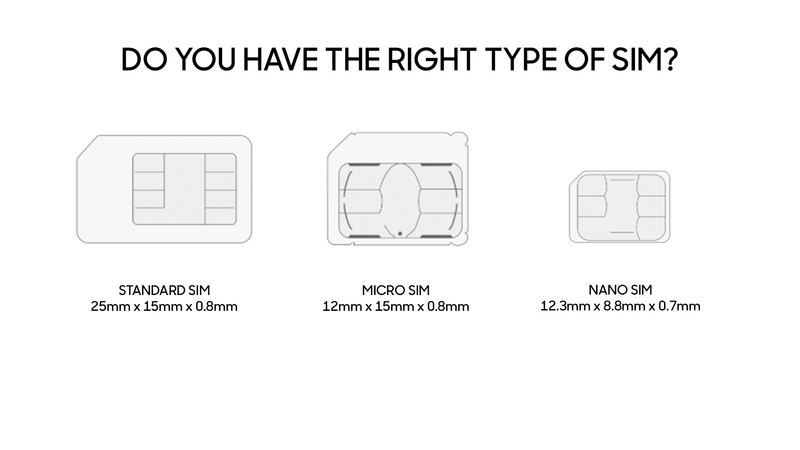 SIM cards come in a range of sizes. 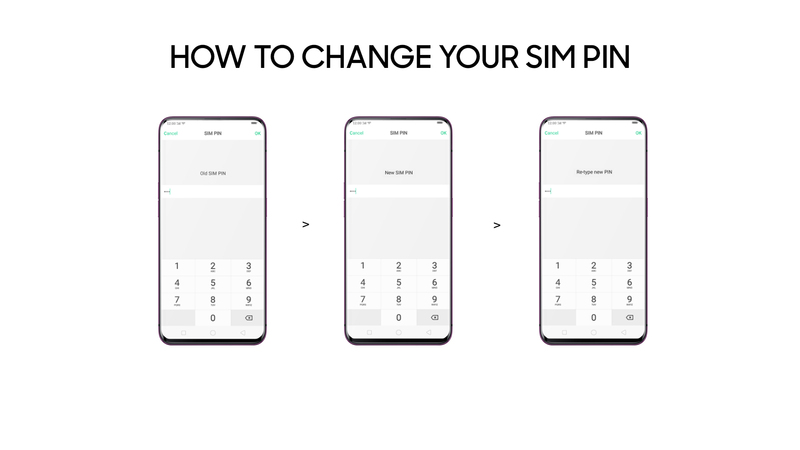 If you're buying a SIM separately, or you want to continue using your old SIM in your new phone, you'll need to check that it's the right fit. If your old SIM doesn't fit your new phone, the best option is to replace the SIM and transfer your contacts and other data to the new SIM. You should never try to cut a larger SIM down to size, as this can cause damage and data loss. 1. Go to Settings > Dual SIM & Cellular. 2. You should see your SIM card(s) under SIM info & settings. Select a SIM and choose Enable. 3. You can choose to edit the SIM Card Name, SIM Card Number and network settings or keep these as they are. Your SIM will now be ready to use. If you're using an OPPO dual SIM, you'll also have the option to customise your default card settings. Choose which SIM to use for Calls and Internet or select Always Ask if you want to decide each time. On the Dual SIM & Cellular menu, you can also customise your Mobile Data preferences, choose a Preferred network type and allow or restrict Apps using Wi-Fi and mobile data. You can also monitor your mobile data usage. When your new SIM card is set up, you can secure it against unauthorised use by setting a 4-digit security code. This code will need to be entered every time you restart the phone or remove the SIM. 2. Choose Set up SIM card lock. 3. Toggle the setting On or Off. 4. Enter your security code. Important: You will only have a few attempts to enter the security code before the SIM is locked. Make sure you choose a code you can remember. · Go to Settings > Dual SIM & Cellular. Check that your primary SIM card is enabled. · Turn off your phone and take out the SIM tray. Check that the SIM card is properly inserted or look for signs of damage. · If there is dust or dirt in the SIM slot, gently wipe the contacts or use compressed air to remove it. · If the SIM card still doesn't work, try another SIM card (if you have one). This should tell you whether the error is with the SIM card or the phone itself. · Take your SIM and phone to your nearest OPPO service centre or contact customer support for help. Most SIM card trays also have smaller slots designed for a micro SD or nano SD card. Some micro SIM or nano SIM slots may also be compatible with SD cards of the same size. Your phone can function normally without an SD card. This simply gives you extra storage for personal files, apps and other data. 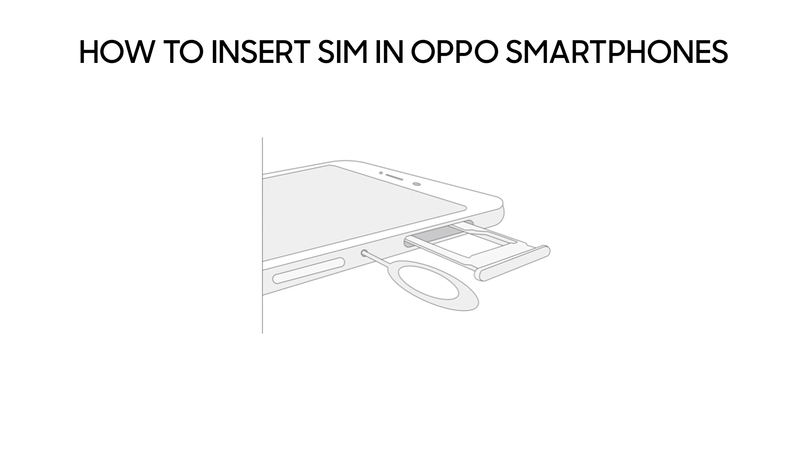 To insert an SD card in your OPPO smartphone, follow the same steps as inserting a SIM, making sure the SD card is inserted the right way around. To[DW5] check that your SD card is working, go to Settings > Additional Settings > Storage. Open the SD Card tab to see how much storage is used and available, or to format the card. If you have more questions about your new OPPO smartphone, check out our blog for solutions to common issues or contact our team today.